Spinal pain can be such a nightmare — no matter how severe. 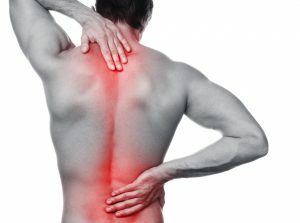 Even minor back pain can ruin certain aspects of your life. But severe spinal pain, which many Americans have, can be downright ruinous to your quality of life. Sadly, despite how intense back pain can be for some people, far too many chronic pain sufferers still neglect their bodies, ignore their pain, and refrain from seeking medical assistance. In fact, roughly 37% of Americans who experience lower back and spinal pain never seek professional help. Never. No one should have to live with such severe pain. Don’t become one of the many pour souls who seeks back pain treatment too late. To that end, it’s important to know how to tell the difference between the normal aches and pains of age and symptoms of more serious medical issues. If you know what to expect when it comes to back pain, hopefully you can at least prepare yourself for what’s to come. Should you experience any of the symptoms listed below, seek treatment to avoid even more excruciating pain in the near future. Random dull, aching pain — This kind of pain can sprout up seemingly out of nowhere and can be accompanied by muscle spasms (both minor and severe), mobility issues, and aches in the hips and pelvis area. Painful feelings in the buttocks, legs, and feet — Often, back pain can start in the lower half of the body and cause patients to misdiagnose their medical issues early on. That’s why it’s so important to seek professional medical attention if you experience any kind of shooting pain extending down your buttocks, legs, and/or feet. Feeling much too comfortable in certain positions — If you sit one way for an extended period of time and feel significantly better once you move, you might have some serious pain problems coming your way. You shouldn’t feel that much better in one position or that much worse in another. While these periods of rest can offer some relief, that’s no substitute for medical assistance. No one should let chronic pain become so severe that it impairs virtually every aspect of their life. So if you’re experiencing any of the above spinal pain symptoms, it’s time to stop living with intense pain and get your life back. If you want professional assistance dealing with pain is the Mishawaka area, contact the i-Spine Institute today.